The Victorian Planning Authority (VPA) will work with the City of Greater Geelong to prepare a Precinct Structure Plan (PSP) and Infrastructure Contributions Plan (ICP) for a precinct in the Northern Geelong Growth Area. 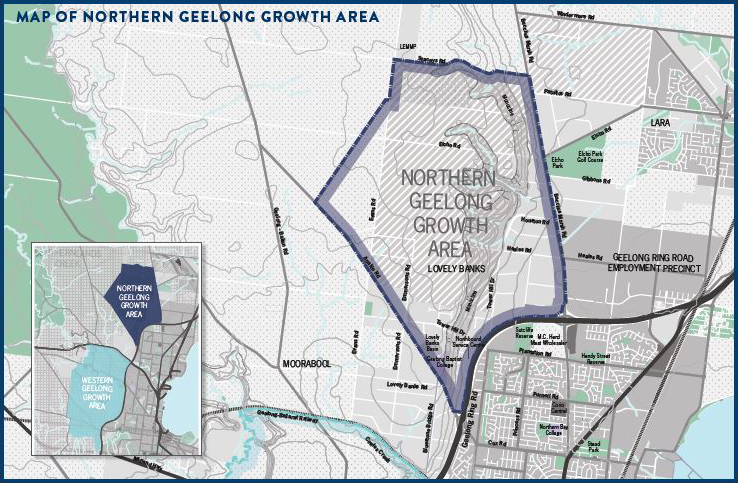 You can read more about the Northern Geelong Growth Area Precinct here. This planning project will contribute toward the City of Greater Geelong’s largest urban growth project in regional Victoria with the potential to welcome more than 100,000 new Geelong residents.